1. The difference between alimony and child support. In terms of taxation, there is a big difference between alimony and child support. Alimony is considered tax deductible for the payer and is considered taxable income for the payee. According to attorney Violet Woodhouse, CFP, for alimony to be deductible, the payer and the recipient of alimony cannot file a joint return. Child support, on the other hand, is not considered taxable income by the spouse who receives it, nor is it tax deductible for the spouse who pays. 2. Qualifying for dependent child tax exemption benefit. “Which parent receives the benefit of the tax exemption for a dependent child is also subject to IRS regulations,” says Daniel Sitarz, an attorney and author of numerous books on divorce and legal issues. The parent with physical custody for more than half the year has the right to the exemption as long as: the parents are divorced, separated or living apart for at least the final six months of the tax year; both spouses together provided more than half the total support of the child; at least one spouse had custody of the child for more than half the tax year; the spouses have not agreed in writing that the other has the right to claim the dependent exemption and have not filed a written IRS waiver releasing the claim of exemption. 3. Filing as head of household. 4. Claiming child care credit. Only custodial parents can claim child care tax credits. In her book, Child Custody: Building Parenting Agreements That Work, Lyster states: “In general, employed custodial parents of a dependent child under the age of 13 are eligible for the credit for child care expenses incurred so that the parent can earn an income. As the custodial parent’s income increases, however, the credit phases out.” Consult the current year tax table, specifically in publication 503, to determine credit amounts. 5. 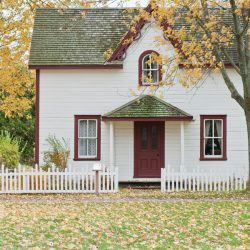 IRS publications for divorced parents. According to Dawn Bradley Berry, J.D. and legal consultant, the IRS has several reference publications for those going through separation and/or divorce. Publication 504 is more of a general reference for divorce issues, including alimony, filing status, retirement, property settlement information, exemptions and legal fees. Publication 503 discusses child and dependent care expenses. The IRS has these forms on its website. 2. You were the child’s custodial parent (the parent with whom the child lived for the greater part of 2006). 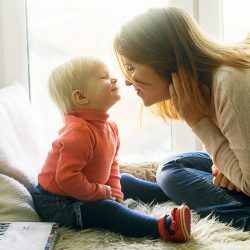 The noncustodial parent cannot treat the child as a qualifying person even if that parent is entitled to claim the child as a dependent under the special rules for a child of divorced or separated parents. The Special Rule for a Child of Divorced or Separated Parents is as follows (unless there is a multiple support agreement): The child received more than half of his/her support for the year from at least one parent (not including Temporary Assistance for Needy Families); the child was in custody of one or both parents for at least half the year; the custodial parent agrees not to claim an exemption or a pre-1985 divorce allows the noncustodial parent to claim the child as a dependent. The IRS offers many resources for those seeking help with tax questions. Visit irs.gov or call 1-800-829-1040. Another great legal resource is nolo.com, offering products and advice about a variety of legal and tax issues.